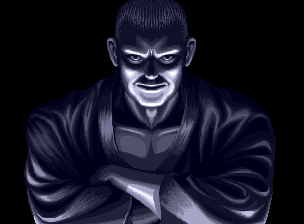 STORY: After stealing the Jin Scrolls of Immortality, Geese Howard takes control of South Town once again. 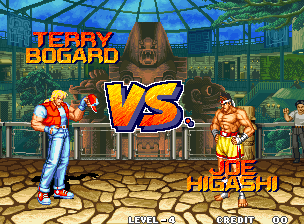 He hosts a new King of Fighters tournament and invites his arch-nemesis Terry Bogard, to settle their fight once and for all! Those character images could use borders... lol. 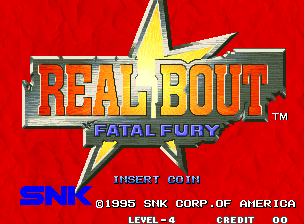 REVIEW: Real Bout Fatal Fury is a fresh new take on SNK's flagship fighter. Real Bout brings back many series veterans and introduces some newcomers as well. 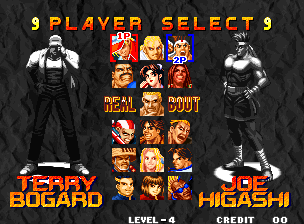 Real Bout retains the core roster from Fatal Fury 3, with the boss characters (Ryuji Yamazaki, Chonrei & Chonshu) now part of the default lineup. 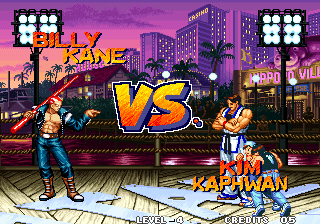 Classic characters, like: Duck King, Billy Kane & Kim Kaphwan also make their return, complete with new character sprites. 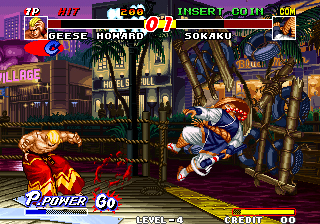 Boss of the original game, Geese Howard also returns as the final boss. 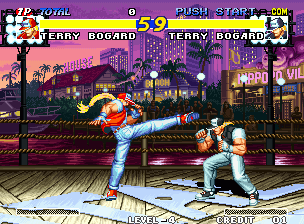 Terry & Geese fight it out, yet again. 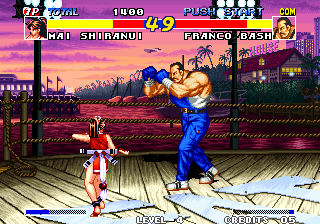 Real Bout's controls have slightly changed from the previous Fatal Fury games. 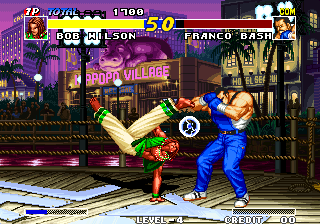 Now instead of four attack buttons, there are only three: Punch, Kick, and a "Strong Attack" which is either a stronger kick or punch attack (depends on the character). 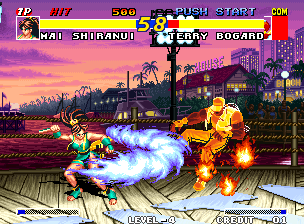 Real Bout retains the three-plane "oversway" system introduced in Fatal Fury 3, which features a main plane for fighting, with foreground and background planes used to avoid attacks or leap towards the opponent. A dedicated button is now used to make an "oversway" (or change plane) towards the background or foreground. 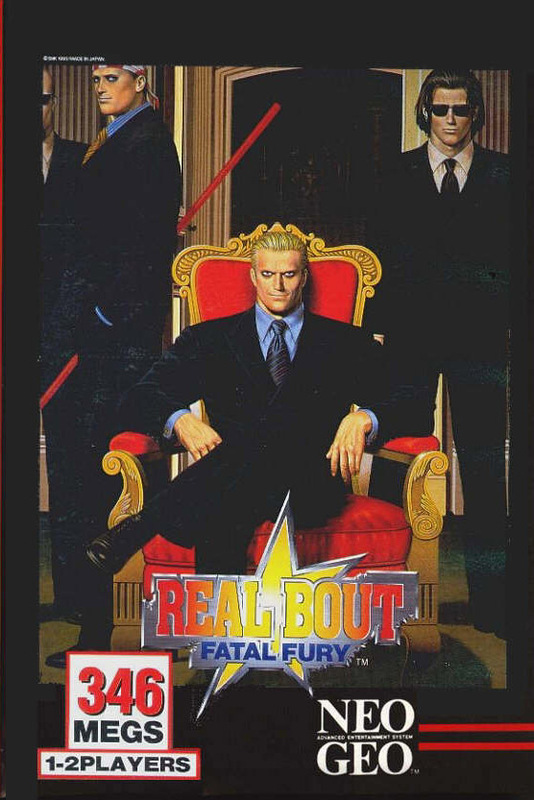 Real Bout introduces stages featuring ring outs or "Out of Bounds," a gameplay feature previously seen in Virtua Fighter (and also used in Soul Edge - released the same year as Real Bout). 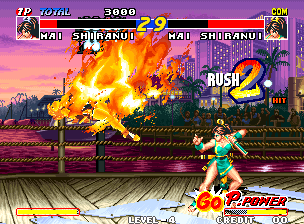 If the player performs certain attacks on their opponent while next to the boundaries, the character will eventually destroy the barrier. If a character walks off the edge or gets knocked into the area where the wall was standing, they will lose a round. 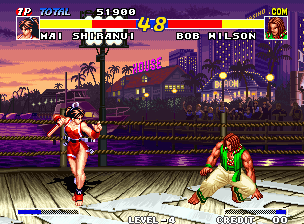 Real Bout also introduces a Power Gauge which fills up as player performs normal or special techniques against their opponent or defend themselves. 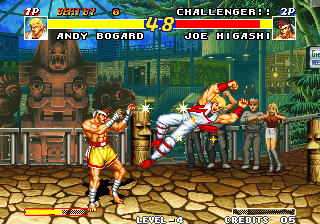 The power gauge allows fighters to perform "Guard Cancels" or a "Super Special Move" depending of the level of the Power Gauge. 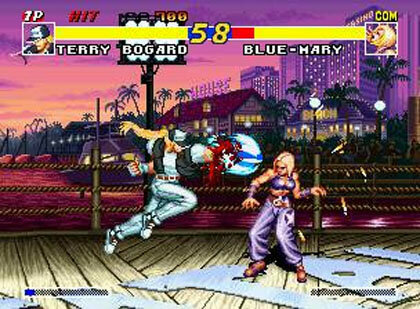 Overall, Real Bout Fatal Fury was the best looking Fatal Fury title to date. 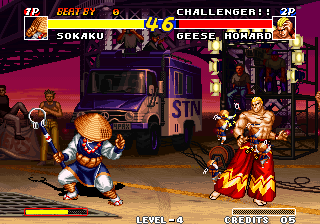 The character sprites are large, colorful, and decently animated. 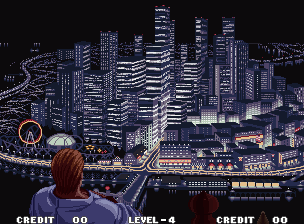 The hand-drawn backgrounds also looked pretty good, creating some interesting settings for the game (although they don't really come together in any particular form or fashion). 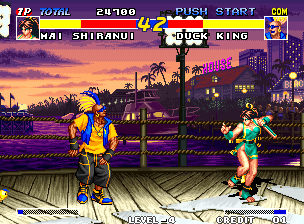 In comparison to some other 2D fighters of the time, Real Bout was still a bit "rough around the edges" visually. 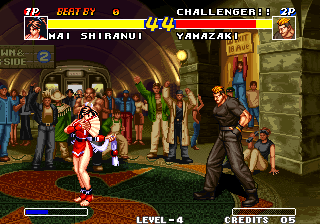 It wasn't one of the prettiest 2D fighters... and not even one of SNK's best-looking games. Real Bout's soundtrack & sound effects do their job, but some of the tracks are a bit bland and pretty forgettable. 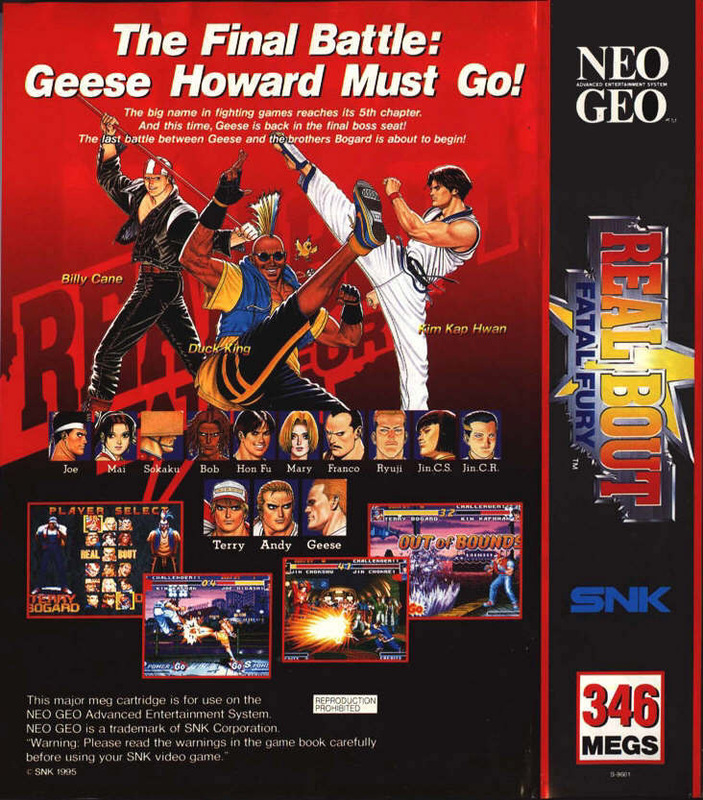 Final Words: Real Bout was a decent facelift for series, but still an "average" fighting game when compared to many others from the era. The character roster isn't bad, but some of the newcomers just don't have much charisma or spark, and seem pretty bland on all levels. 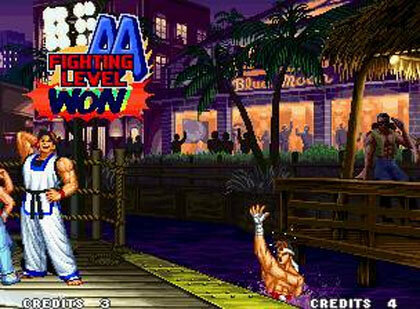 Even if you disagree, you'd have to admit that these characters were easily outshined by many other fighting game characters from the time period. That says it all.